Vinay Chhabaria is a cricket and WWE enthusiast who loves Royal Challengers Bangalore and The Shield WWE. He started watching cricket since 2006. The young sports analyst is a former cooking blog owner who shared recipes online. 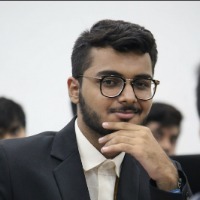 He is also the Mr.Fresher of his college which displays his fantastic personality. Mr.Chhabaria also watches Kabaddi and Tennis.